The disappearance of a blimp resting on the shores of Lake Ontario in Rochester, NY has coincided with Toronto band/marketing vehicle Blimp Rock announcing their sudden acquisition of a blimp for their planned festival. Rochester authorities told media on Tuesday night, a group of lifeguards returned to shore after an undisclosed event in the middle of Lake Ontario. 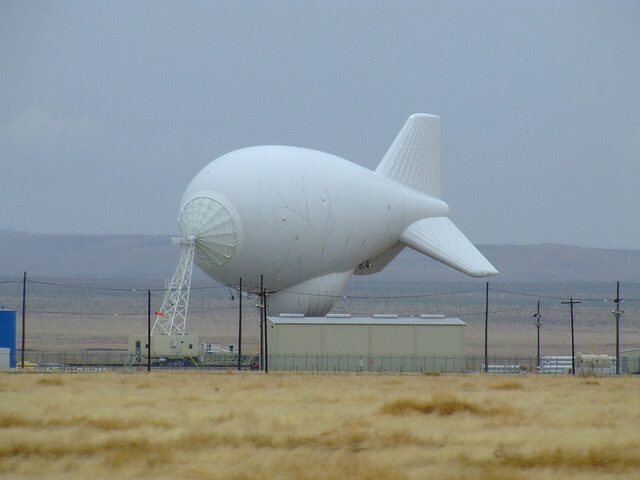 To their surprise, a blimp usually seen on the shore had vanished. Police questioned each lifeguard and searched their homes, but there was no indication that any of them were behind the theft. The only clue authorities have at this time is a discarded Rolodex, seemingly vintage. On the Canadian side of Lake Ontario, however, Blimp Rock announced that they had purchased a blimp. Given their status as a southern Ontario rock band, it seemed unlikely that they suddenly came into the $700,000 required to purchase the dirigible. Grayowl Point got in touch with Blimp Rock spokesperson Peter Demakos in the hopes of discovering where the band got the blimp from—especially if it was indeed the vanished vessel from Lake Ontario. “After nearly two and a half years of data from the For Profit Private Sea-Doo Detectives of Toronto, we decided to take things into our own hands. Last Tuesday night, we headed out on the Blimp Rock Enterprises Sea-Doo with one mission: get to the middle, and get answers. What we discovered shocked our team more than when they first discovered the price of helium. At first, everything seemed as it should be: a party yacht, with the words “S.O.S L.O.L” detailed on the side. Disco music blaring, dominoes tables everywhere— even a horse-sized racetrack. But there was something very off. The closer we got, we started realizing that the disco was playing to no one and the dominoes tables were all unattended. The entirety of the S.O.S L.O.L was empty. Blimp Rock, a marketing vehicle for a future Blimp Rock Live festival, is attempting to raise the money with music (their second album, Sophomore Slump, is to come on April 7) and the sale of vintage office supplies. Given the location of the Rolodex at the scene of the crime, Demakos was quick to explain that it couldn’t have belonged to the band. Alibi firmly established, we asked Demakos what he thinks could have happened to the missing blimp.